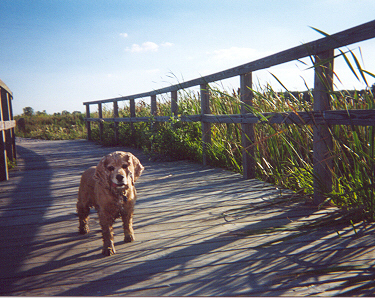 Here are some pictures I took of Gabby last year but didn't develop the film until now. 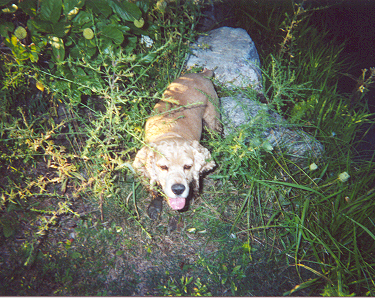 This was with a disposable 35mm camera. I'm surprised that even this camera took better pictures than my Polaroid. 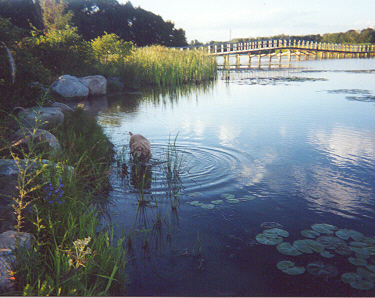 This is at a Willow Marsh by Detroit Metro Airport. Not many people go there and it's quite. Gabby loves it because of all the brush he can run through. He likes to wade through the muck and chase frogs. By the end of the day Gabby is exhausted and extremely filthy. 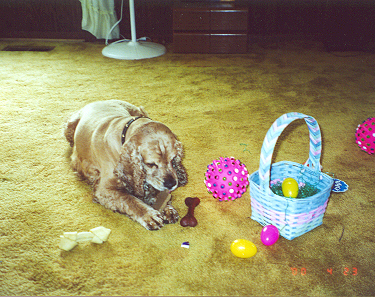 Here's Gabby last month with his Easter basket.